Huge savings in this big holiday sale event. Here we are with our Christmas Sale Now On. Save up to 50% with an extra 20% off on Everything. Explore our complete range here. Hurry!! 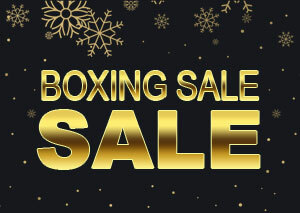 Sale ends Wednesday, 02nd January. 2019. Use Promocode "CS20" at Checkout. Applicable for UK Residents only. Offer cannot be redeemed in conjunction with any other offer or promotion code.